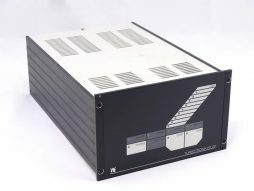 Refurbished Leybold NT20 turbomolecular controllers (frequency converters) from stock. Controller has front panel with membrane keypad and LCD. The Leybold NT-20 operates the TURBOVAC TMP models: 150, 360, 150 CSV, 360 CSV, 150 V, 360 V, 151, 151 C, 361, 361 C, 600 and 600 C, 1000, 1000 C and 1100 C.
Refurbished Leybold Turbotronik NT450 turbomolecular controller (frequency converter) from stock. 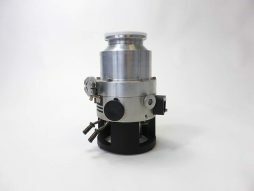 The converter is suitable to drive the Turbovac 450 turbo pump. (TMP450). 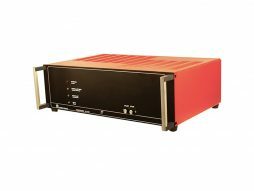 It is compatible with US 110/115VAC and EU 220/240VAC mains voltage. 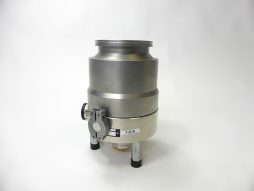 The Leybold Heraeus Turbovac TMP-150 turbo molecular high vacuum pump have oil lubricated bearings and a pumping speed of 150 liters per second (l/s). 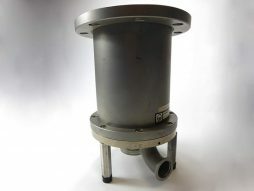 The high vacuum inlet is a DN63ISO-K with an ISO25KF exhaust foreline flange. The Leybold Turbo Vac TMP 150 turbomolecular pump can be used for all general-purpose high vacuum applications. Rebuilt with original OEM parts and fully tested. Also other flange types available such as DN100ISO-K or DN100CF. A Turbotronik frequency converter and a forevacuum pump are required for operating this pump. Leybold Heraeus turbovac 360-CSV turbo pump (TMP-360-CSV) with DN100ISO-K high vacuum flange from stock with 3 months warranty. Kat.no. 855-07. Excellent and clean turbo pump with as new performance. It is suitable for many general purpose high vacuum applications. Factory refurbished Leybold TurboVac 450 pump, available from stock with 3 months warranty. Optional interconnecting cable and controller available if required.